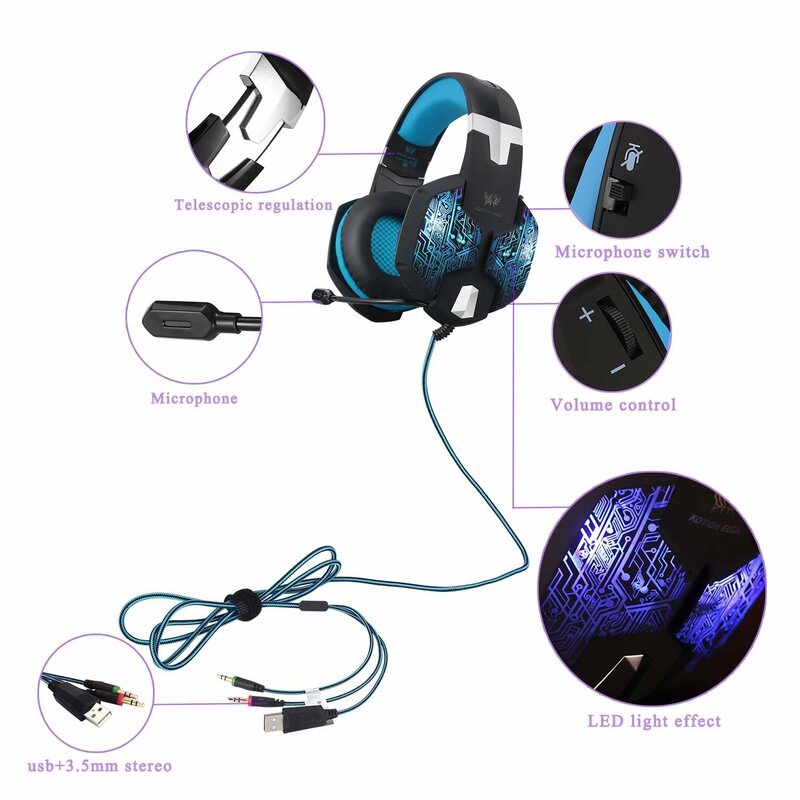 【Great sound quality and accurate sound pickup】over-ear headband with mic and convenient sound control knob,omnidirectional noise reduction microphone with flexible tube. 【Comfortable wearing and great noise cancelling】earmuffs are made of skin friendly leather material. 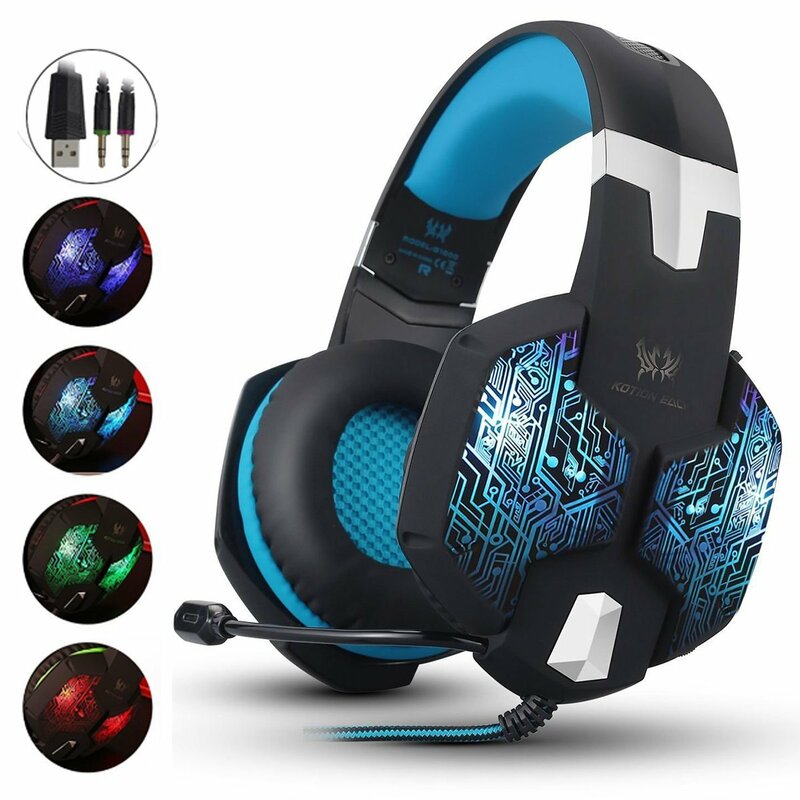 Super soft over-ear pads and padded headset top that are more comfortable for long time wear. Earmuffs are well-padded, which also helps cut out background noise. 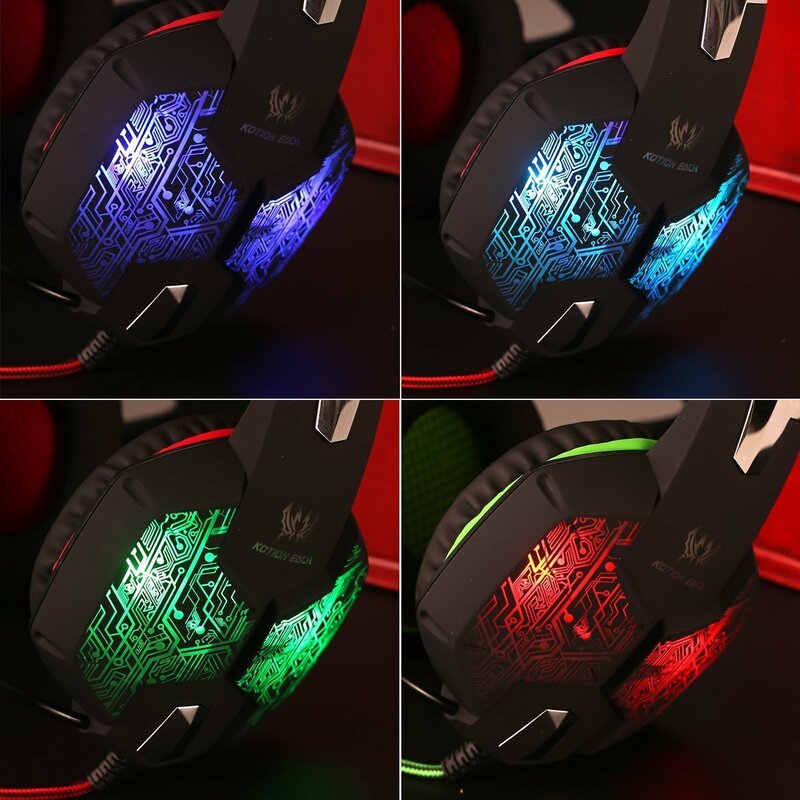 【Unique stylish and exquisite craftsmanship】multi-color crack breathing LED lights can highlight more feeling in the game world. Sturdy and durable braided cable can reduce external resistance, velcro cable tie to prevent line twining. 【Full Compatibility】Work for PC, computer, laptop, capable of various games, and need adapter to work for PS4, PS3, or Xbox 360. 【Note】There is a USB jack for powering the LED lights, and two audio connectors for the earpieces and the microphone. The green jack is for the headphones, and the red one is for the microphone.